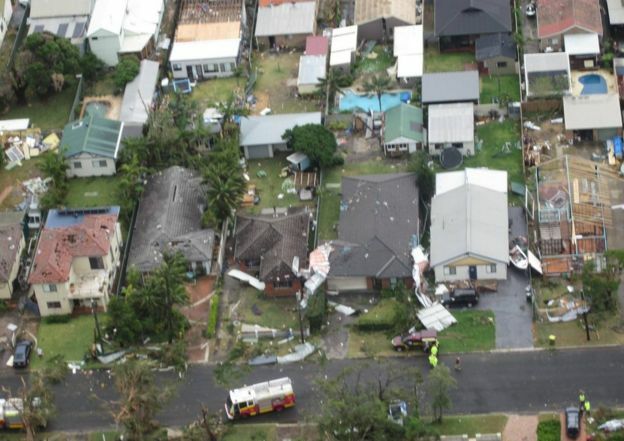 A tornado has ripped through Sydney, with one weather station recording the fastest ever wind speeds in the state of New South Wales. 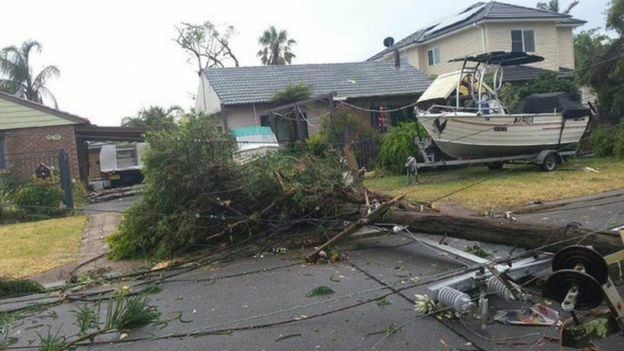 Destructive winds of 213km/h hit Kurnell, on the southern headland of Botany Bay, Wednesday morning. Two people have been taken to hospital, one suffering head injuries and another suffering shock, a NSW Ambulance spokesperson told the BBC. 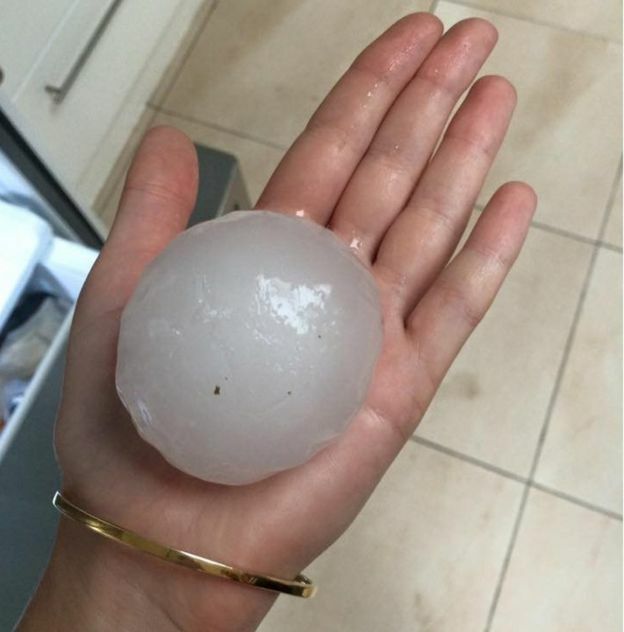 A Kurnell resident told Sky News the storm sounded “like a freight train”. Authorities said it is lucky no-one was seriously injured, but at least 25 properties have been severely damaged, some declared uninhabitable. “This is a hard blow for the Kurnell community, just one week before Christmas,” NSW State Emergency Service (SES) spokesperson Phil Campbell said. The SES has responded to more than 500 calls for help, and 11 flood rescues, including some people trapped inside their vehicles during flash flooding. About 180 children were forced to evacuate their classrooms in Kurnell. Meanwhile other suburbs including Bondi were also hit hard, with mobile phone footage showing shocked shoppers watching a roof collapse at a Westfield mall. A Westfield spokeswoman reportedly told AAP one shopper was hit by debris and treated at the scene for minor injuries. 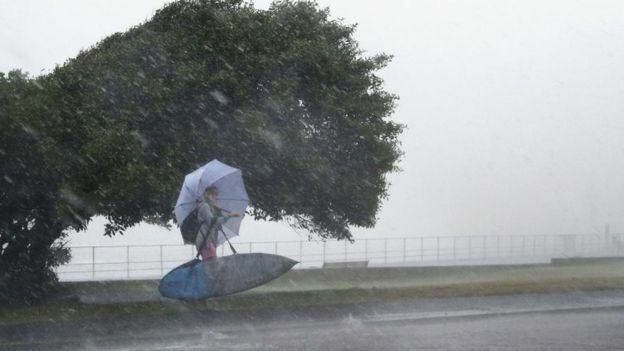 Sydney airport is still open, but the weather has caused delays, the AFP reports. Westpac Life Saver Helicopter Chief Executive Stephen Leahy said the organisation’s chopper pad is a “crow’s fly” from Kurnell. He said the base has been littered with particles of roofing insulation that has been ripped from roofs. “The roof bats have been carried across Botany Bay and landed on our landing pad,” Mr Leahy told the BBC’s Ashley Donnelly.